Nice chart, but it has missed that both Red Hat and Suse linux are derivatives of Slackware, which again is a derivative of SLS Linux. Wow. I like this image. Moreover, there are many interesting entries contained in it, of which includes Microsoft XENIX, based upon UNIX 7. I didn't know that it existed until I view the image just now. Perhaps it would be of interest to your audience to investigate the now-extinct product and write a post about it; I'd certainly be interested in reading it. Nice work. It would be nice to have the image on a printer-friendly version also. I would certainly hang it on my office wall. Were Linux really a minix descendant?!!! Or was only inspired by? The first comment is incorrect. SUSE Linux is a descendent of JURIX Linux, which was done by Fabian La Roche. Fabian had previously been in the Debian project, but left due to the fighting. The initial version of JURIX were tarballs. It's interesting to note that Debian is very much the same now, suggesting that the initial conditions of a project can set the tone for decades afterwards (if it survives). Linux was NOT derived from Minix. Please fix this. Wonderful chart... Actually I took a poster size print out and hung it in my office, in my cubicle. A couple notes. Trusted Solaris has merged with the Solaris mainline in Solaris 10, so maybe there should be a box for "Solaris 10", dated 2005, with lines from Solaris and Trusted Solaris. Also, "Sun Java Desktop System" as a Linux variant ended distribution in 2005. Linux is a rewrite/reimplementation, by Linus, of a posix compliant OS (kernel) as a reaction to the constrained licensing terms of Minix. Hurd is a rewrite as well. The time lines are nicely placed though. Perhaps a new symbol or arrow should be used in place of the "decedent" arrow. 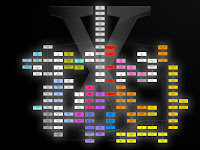 It's a pretty chart, but it's not nearly as comprehensive or accurage as Éric Lévénez's venerable Unix timeline. I agree Eric Levenez has done a marvelous job of depicting the timeline. In fact I have blogged about it previously which you can find here. Another thing which I would like to clarify is that this image is not my work. Rather I first chanced upon it at another blog - I have provided the link to the blog in the post. The one work I have created is the Mind map of Linux distributions which I will update to show the recent changes when I get the time.